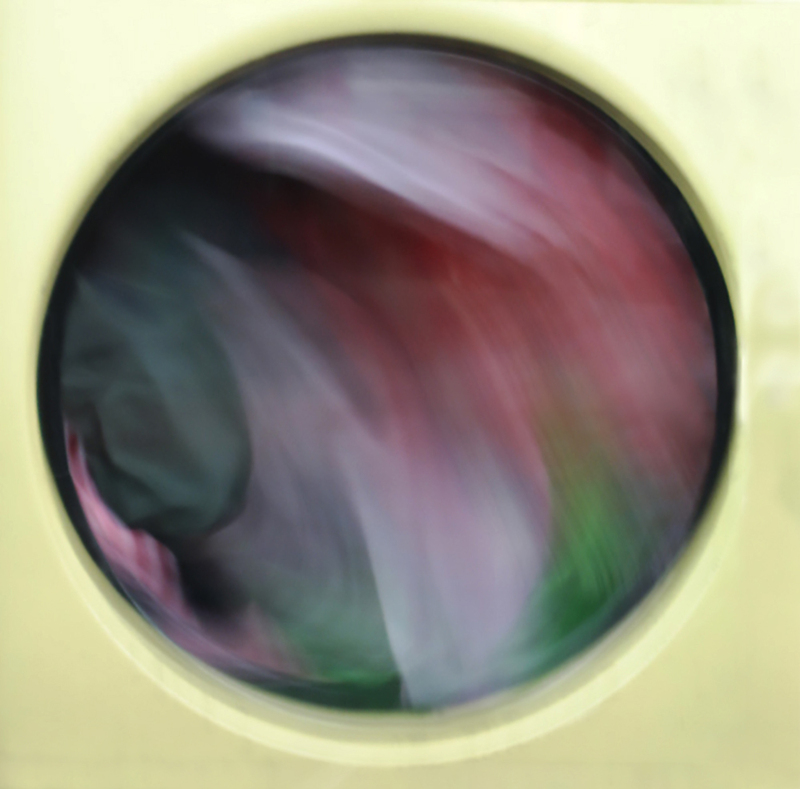 This series captures the universality of human experience – each of us doing laundry – and the uniqueness of each of us as we evolve through life. I think of each image as a Rorschach as individuals’ perspectives informs their perceptions. 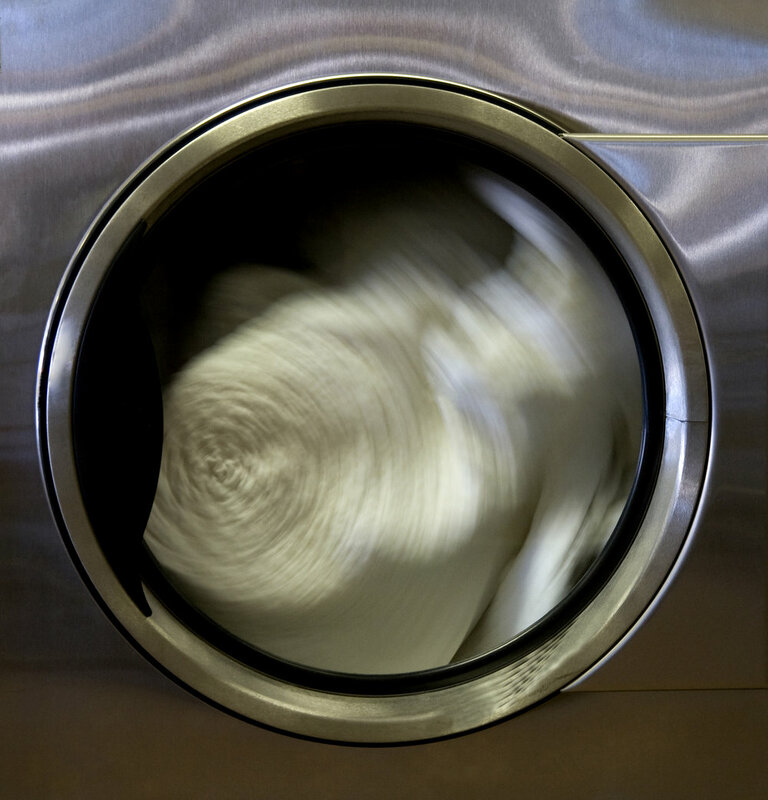 What led me into the Laundromat in February was my interest in laundry, which I have captured on the line for many years, and in many locales. I have long loved the beauty of the transformation from soiled to clean cloth. I went looking for laundry without expectations, open to the experience. 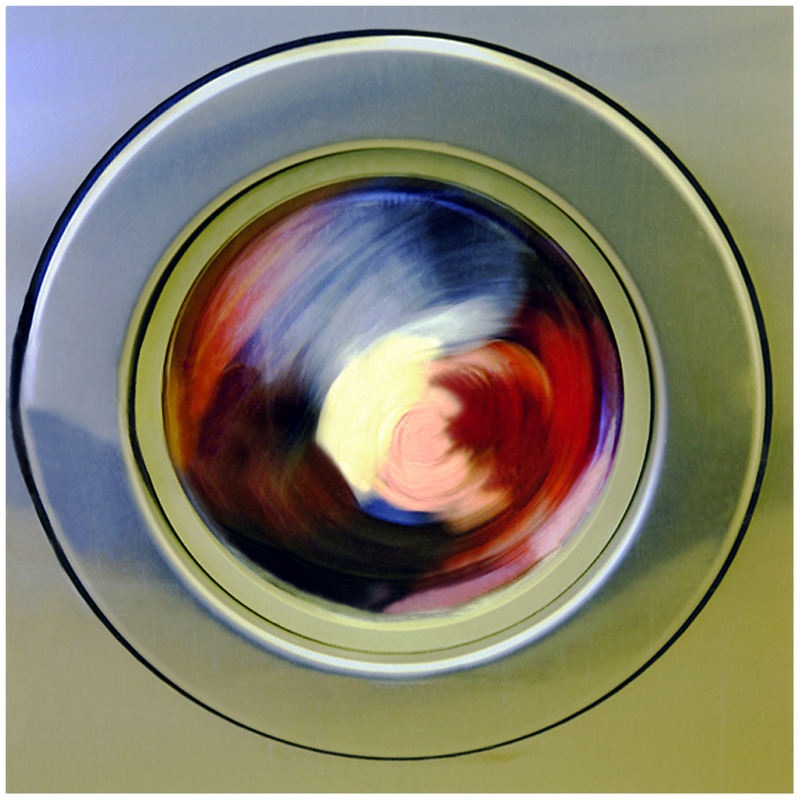 I took photos of the dryers with the various colors of clothing revolving through the window of the machine. It was only when I went to the computer to upload the photos that I saw the faces and forms that had emerged through the convergence of colors, light and form. Photography continues to take me further than my eye can see and sometimes in unexpected directions. As Picasso said, "There is no abstract art. You must always start with something. Afterward you can remove all traces of reality." I believe that is what Revolutions does. 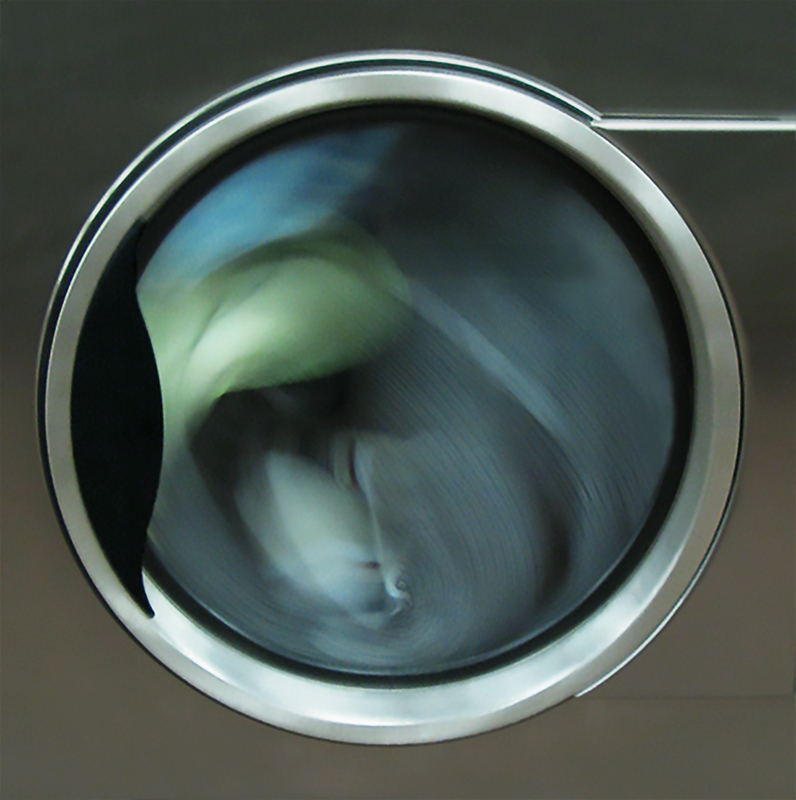 I start with fabric in a dryer and in collaboration with my camera the concrete reality is transformed. 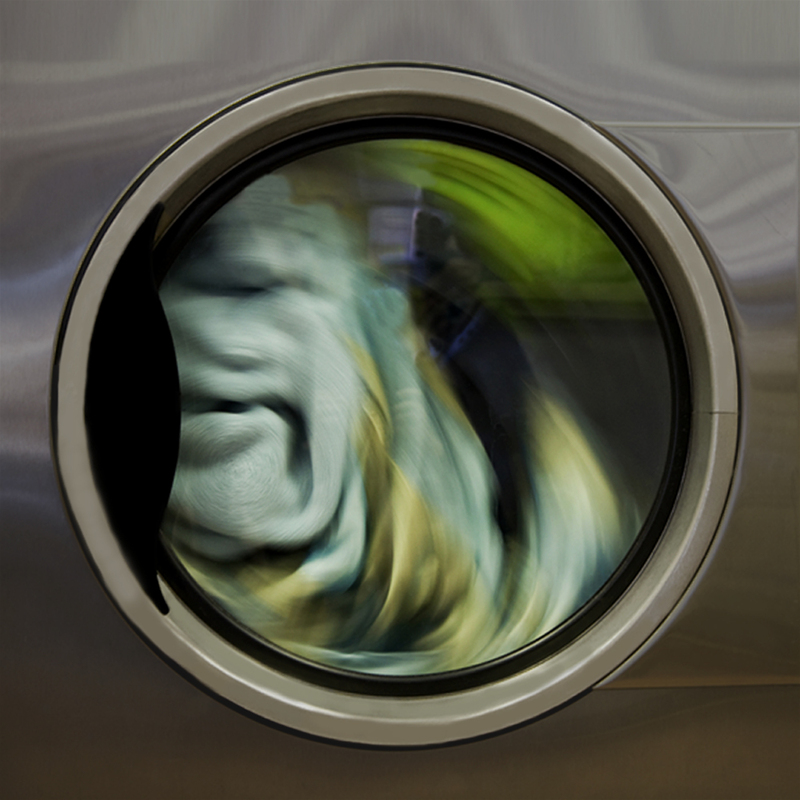 The first image, Money Laundering is the most recent addition to the series in response to the current political situation.